The sun is hot, the drinks are cold and the beach is calling. Summer is officially here which means it’s time to enjoy the three things that makes Australia the very best place to call home – sun, sand and sea! Come and explore what you need to make your beach holiday complete. Let’s start smart – with shade protection. While you can sometimes find a tree, it’s best to BYO shade as most of the time the kids will want to park closer to the wet sand than the trees. 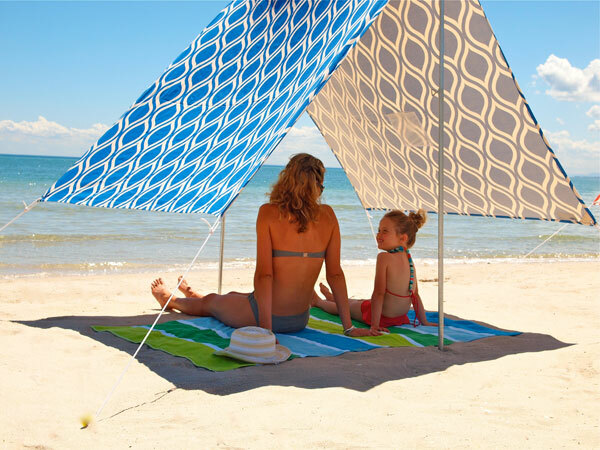 In addition to a portable shade sail, such as these terrific choices from Hollie and Harrie, you are also going to need to pack sunscreen, hats and sun-safe clothing such as rashies. It’s also a good idea to bring a cover-up such as these funky ones from Platypus Australia for when they’re out of the water, as sea breezes can be cool on wet skin. Sticking to sun and sand protection, let’s work our way down to the feet. Sand can be hot, coral can be painful and it’s important to keep those little feet protected when in and out of the water. 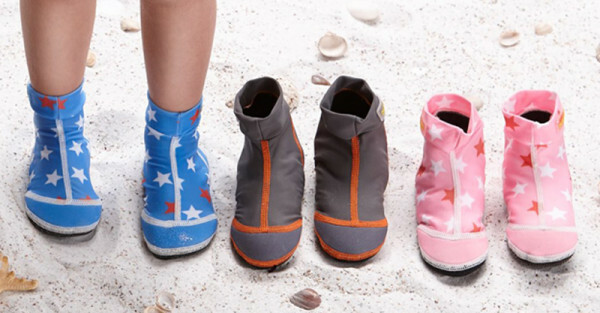 Pick up a pair of swim socks from Duukies and now you’ve got your little ones covered, from head to toes. While we’re on the topic of footwear, these thongs from Flip Side are pretty much the best thing ever for the beach too. 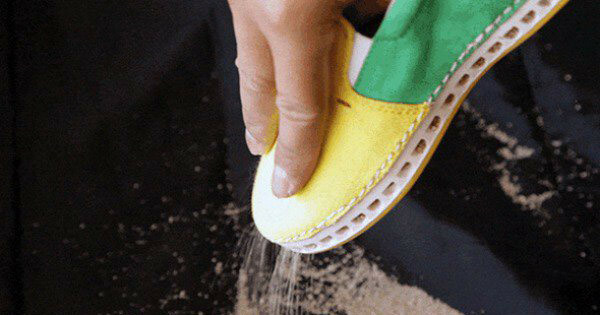 Sand Out Shoes are also an amazing idea that cleverly drain out sand and water as kids run and play (I know, why didn’t I think of that!). You also need somewhere to park your bums for the day. A large picnic blanket works but we prefer to keep the sand on the ground and out of our togs with a portable hammock or lounge chairs. Sunny Jim have sun shades with matching throws that all fit in a bright and beautiful Yoga bag. 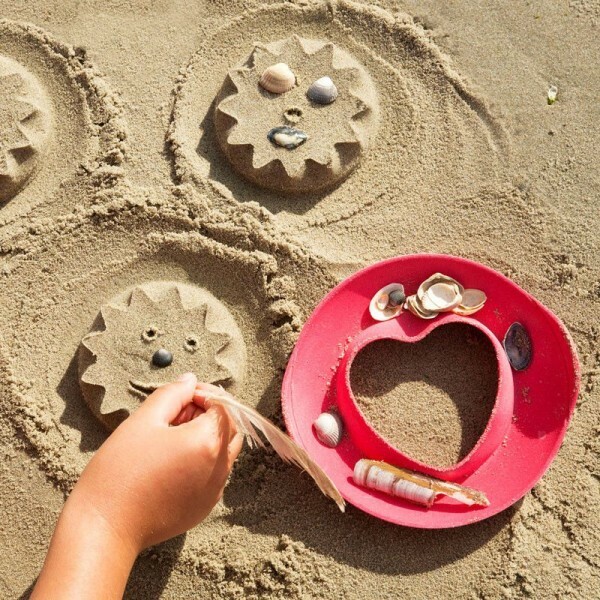 It’s time to move on to beach fun and if you have little kids in tow, that means sand toys. 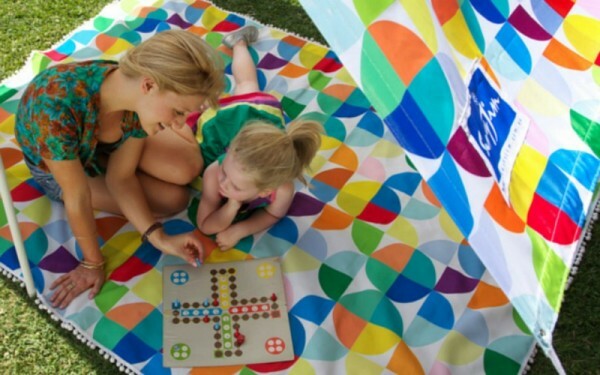 This is pretty much a must to keep the kids happily entertained while you sit under the shade cloth and enjoy a cool beverage (I know, I’m drooling just thinking about this). Inflatable swim toys like these from Seed can also be a lot of fun in the water, but make sure to keep a close eye on the kids while they use them. Finally, how will you transport all of this stuff? 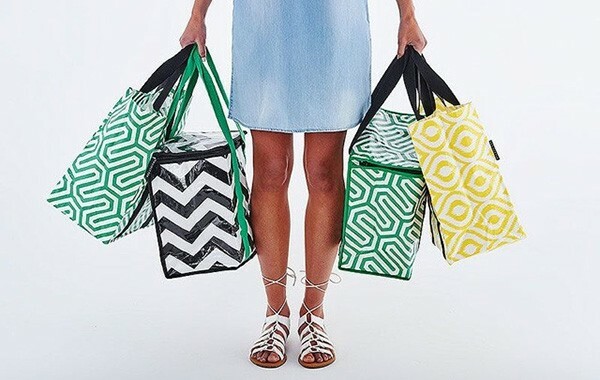 You need two things – an esky and a tote bag. Project Ten has you covered on both fronts. Okay, so we’ve got the shade protection, the toys, the blankets and the esky and bag covered. There’s just a few more things we need, including something to keep your valuables safe from the sand. A waterproof, sandproof container from OverBoard will do the trick to hold things like your keys, phone and wallet. 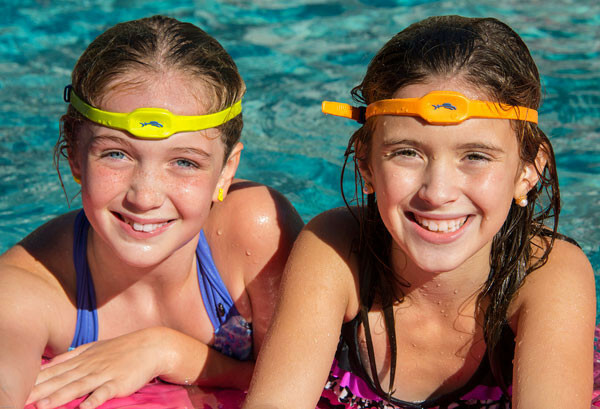 Another good idea for trips to the beach, or anywhere there is water, is the iSwim Band, a drowning detection device worn on the wrist by toddlers or the head (much like goggles) by older children. This detects when a swimmer has been submerged too long (beyond a preset time limit) or if a non-swimmer enters the water. It then sends a wireless alert to your smart device (phone or tablet) via the downloaded iSwimband app. Some other essentials for any trip to the beach? Water, talcum powder (for brushing the sand off), life preservers for little ones, insect repellent, Bandaids in case someone takes a spill on the rocks, sunnies, goggles and togs, of course! Make sure too to pack somd fluffy beach towels – you’ll find a fine selection in our recent beach towel round-up. Here comes the sun – now go and enjoy it!